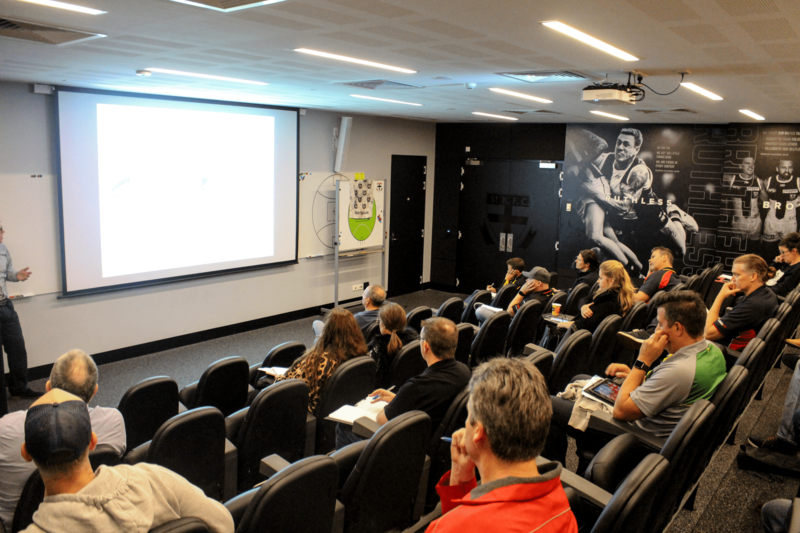 Clubs attended the Options Consulting Group Club Conference on Sunday morning, with SMJFL staff and sponsors presenting on various topics of interest. 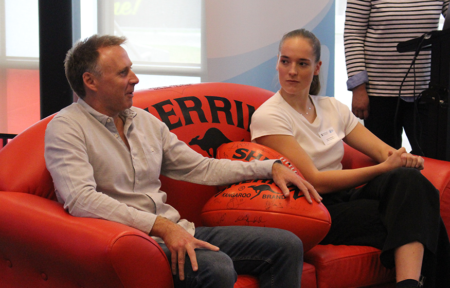 Guest speakers included Options Consulting Group, Monash University Master of Dietetics students, MyPhysio, Victorian Responsible Gambling Foundation, Grant Professionals, SportsTG, St Kilda Football Club and Nathan Burke Consulting. Subjects covered ranged from child safety and sports gambling to tackling technique and club development, with the aim to help all clubs be as prepared as possible for the upcoming season. The Club Conference plays an important role in allowing clubs to ensure organisation off the field, so things can run smoothly on it. Clubs and sponsors were then on hand for the Season Launch, with the SMJFL kicking off the #StarsOfTomorrow theme for the season. 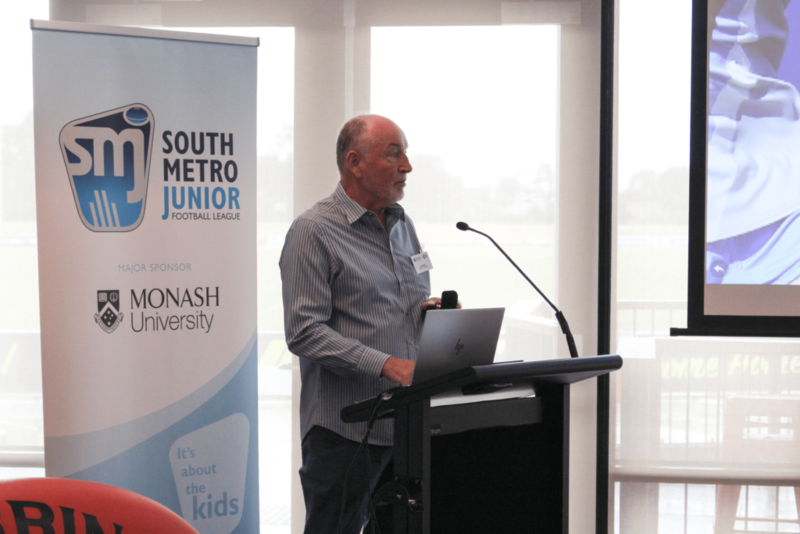 John Barry was recognised as the 16th life member of the SMJFL/MSJFL for his significant contribution both as a club and league volunteer and St Kilda CEO Matt Finnis and Western Bulldogs AFLW star Isabel Huntington formed a guest panel, with the RSEA Park redevelopment and AFLW significant topics of interest. Round 1 for the SMJFL is not far away, with just 27 days to go until Round 1 on Sunday 28 April.